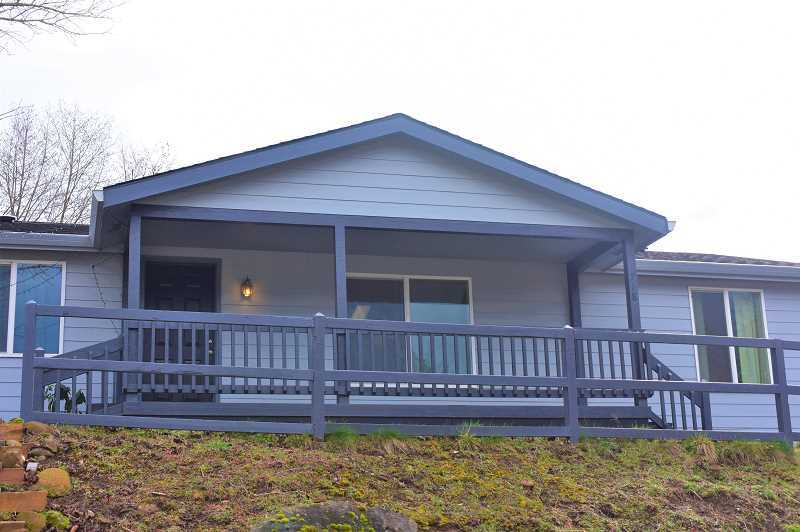 The house on Southeast Forest Glen Road in Estacada offers a cozy atmosphere with plenty of space for future owners to occupy. Built in 2000, the 1,200-square-foot manufactured home will be listed for sale in several weeks and features three bedrooms and two bathrooms. When owners and guests enter the living room, they will be greeted by vaulted ceilings that create a spacious feeling. 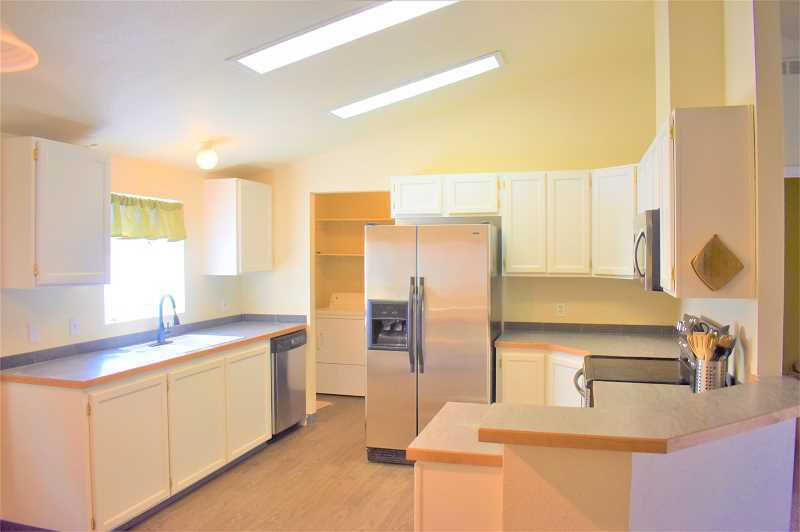 The kitchen features stainless steel appliances and new counters that offer plenty of opportunities for cooking. Occupants of the master bedroom will enjoy a walk-in closet and bathroom with new flooring. The house offers two more bedrooms, allowing space for additional residents or an office or hobby area. There is also a two car finished garage. The home boats numerous upgrades, including new flooring throughout and a roof that was redone last year. The exterior was re-painted several years ago. The house's front porch offers an opportunity to watch sunsets over Estacada and enjoy other elements of being outdoors. Listing agent Cindy Wood of Westland Realty noted that the home offers many useful features. "I like the open floor plan, and I like all of the updates. It feels like a new home," she said.